We have designed an interactive portal with you in mind. Invite family and friends to join you on Heaven’s Maid! Use our uniquely designed portal to share pictures, stories, and memories of your loved ones. Share memories about your loved one with family and friends. Use our uniquely designed portal to share pictures, stories, and memories of your loved ones. We provide you with confirmation photos so you are able to see the difference Heaven’s Maid can make. 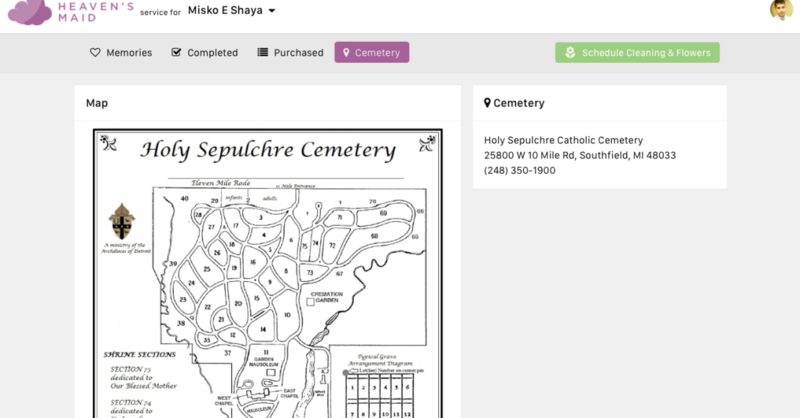 Do you need a map of the cemetery? How about their contact information? 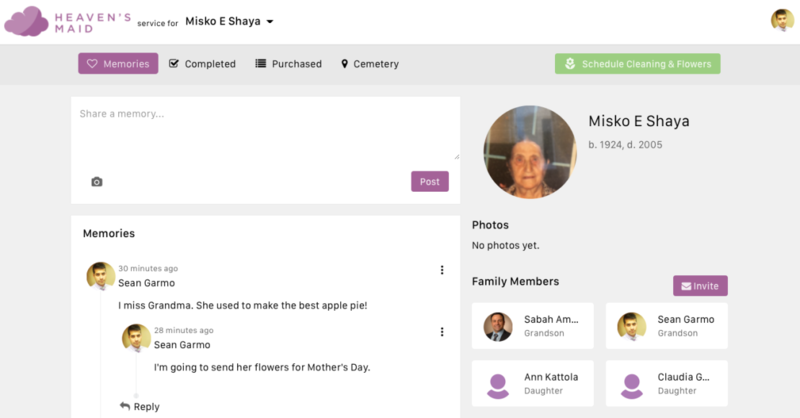 Heaven’s Maid provides you with in-depth information about your cemetery. Proactively monitor the status of you order. 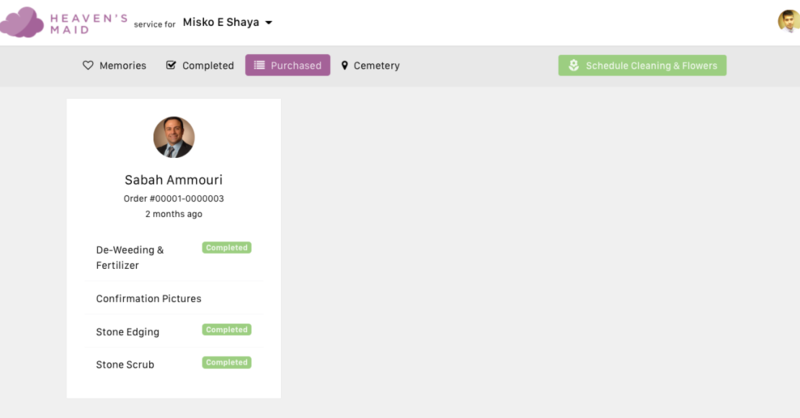 Automatic notifications and an intuitive interface will make sure you’re never left wondering whether or not someone has started completed your requested services. "When I can't travel to Virginia on Veteran's Day, it's comforting to know I can still honor my brother by sending flowers to his final resting place..."
"Heaven's Maid has been Heaven Sent. They deliver the flowers I choose on the day I choose, then upload a picture to my own portal to share with my friends and family. Thank you Heaven's Maid for giving me peace of mind!" 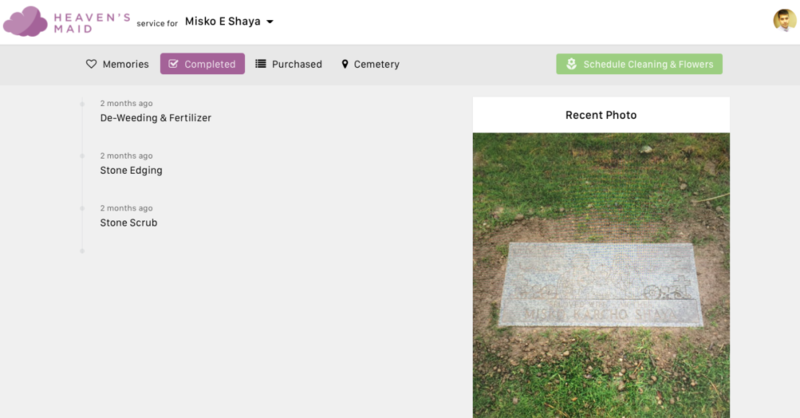 "There was nothing more comforting than seeing the confirmation picture of my grandmother's final resting place after it was cleaned..."